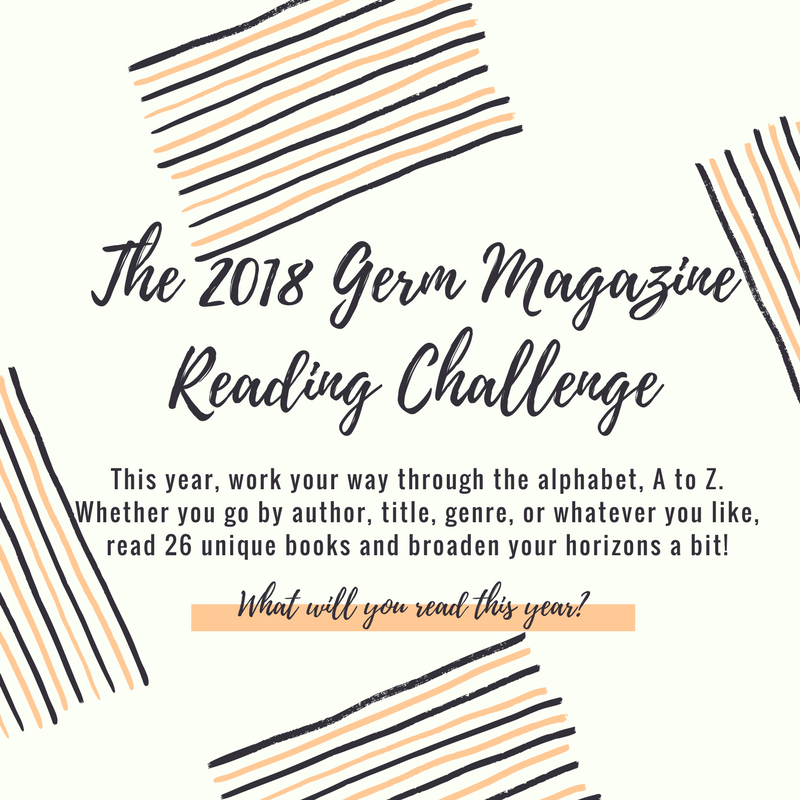 Happy New Year, Germies, and welcome to our 3rd annual reading challenge! The past two years I’ve given you checklists to complete over the course of the year with different genres and authors and such so that you might read a little more diversely than you would have without it. This year, I’ve gone a bit simpler and put some of the power in your hands. Your objective is to go through the alphabet. (What better way to read?) So, you start with A – whether that’s in the title, the author’s name, genres if you’re felling confident, or anything! – and you work through the next 25 letters all the way to Z. You can stick with one theme, mix it up between titles and authors… it’s all up to you. The choice is totally yours. I won’t rehash my plea to get you all to read diversely, to move outside of your own perspective or one you’ve read a thousand times, but I will remind you that it’s so, so important that you do. Now, get reading, my little Germie bookworms! And don’t forget to let us know how it’s going throughout the year. Happy reading!